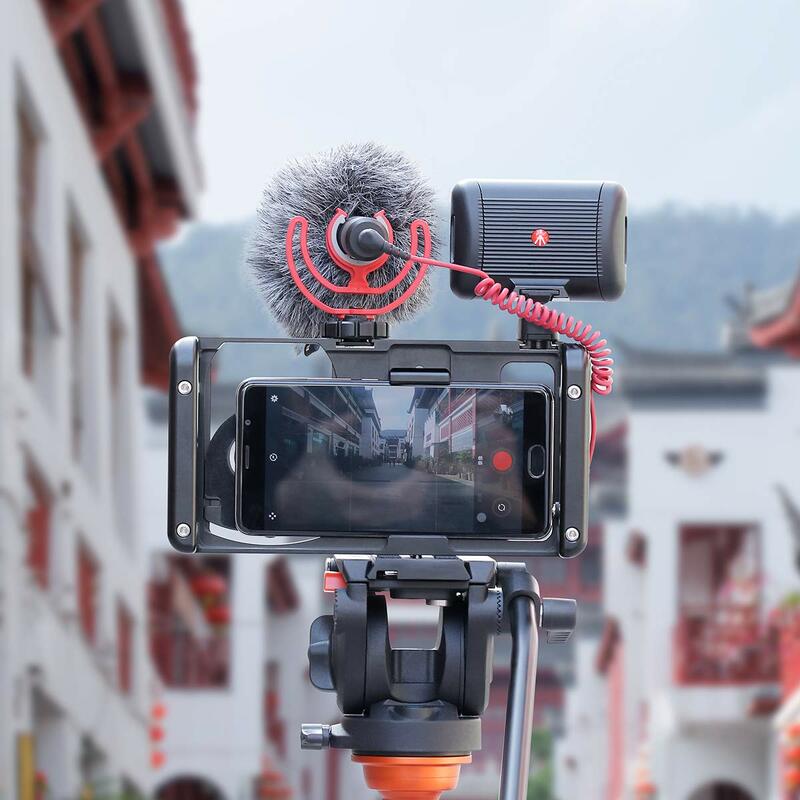 The Best Smartphone Video Rig in the World! - All CNC Made Quality. UNIVERSAL - Fully compatible with all Apple iPhone, Samsung Galaxy and Google Pixel phones --- including dual camera models - and most other phones! LENS MOUNT - It has an adjustable lens mount.Standard 37mm and 17mm threaded lens/filter mount, compatible with wide variety of conversion lenses, filters, DOF adapters. COLD SHOE and 1/4 SCREW - It has 2 cold shoe mounts and 4 1/4 ¼”-20 threaded mounts which allow you to attach a wide variety of photography/filmmaking gear to increase the quality of your photos and videos.Such as Video Microphone ,Led Video light ,Recorder,Gopro and more Phones. PATENT DESIGN - Spring Phone Clip and Secure Screw to lock it which is the most secure smartphone video rig in the world.